The Max Series was the first tubular frame skid steer hitch on the market with the largest and strongest cradle. Its mounting frame mounts to all modern skid loaders with the universal attach system. 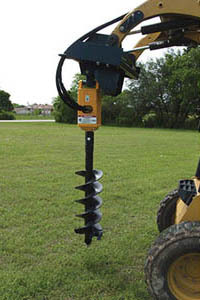 The Max Series units are ideal for all drilling applications from dirt to solid rock and concrete when paired with the correct auger.